Because of old age and a desire to restore fisheries, in many parts of the United States old dams are being removed. But in Alaska, the state legislature and the governor want to build what would be one of the nation’s tallest hydroelectric facilities. If built, the 200-meter dam on the Susitna River would be the nation’s fifth tallest, completed by 2023. At a press conference in Anchorage on July 25, Alaska Governor Sean Parnell signed a ceremonial copy of a bill to authorize a 200-meter (700-feet) rockfill dam on the currently dam-free Susitna River. Parnell signed the official bill on July 13, after it had passed the state legislature in June, the Anchorage Daily News reports. Senate Bill 42 gives the Alaska Energy Authority (AEA), a public corporation owned by the state, the power to issue bonds and enter into contracts to build the dam, which is scheduled to be completed by 2023 and is estimated to cost $US 4.5 billion — a figure that does not include some of the new transmission lines that would be built, according to Karsten Rodvik, AEA’s external affairs manager. The Susitna Dam, planned for a site halfway between Anchorage and Fairbanks, will create a storage reservoir 63 kilometers (39 miles) long and three kilometers (two miles) wide at its broadest. If completed, the dam would be the tallest built in the U.S. since the 218-kilometer (717-feet) Dworshak Dam in Idaho, which began construction in 1966 during the height of the American dam-building era. Plugging the Susitna River would also destroy nine miles of spawning habitat for the Arctic grayling fish, and change river flows and temperatures, which would help some species and hurt others, according to a preliminary evaluation prepared by the AEA in November 2010. Salmon would not be affected because they do not spawn above the dam site. 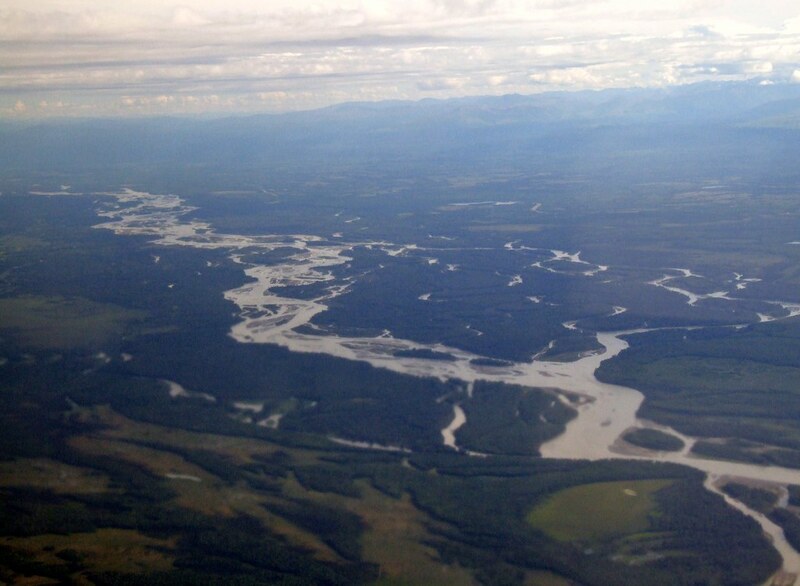 The state flirted with the Susitna project starting in the 1970s, when the U.S. Army Corps of Engineers first drew up a proposal. Construction was provisionally approved but then cancelled in 1986 due to an economic downturn and cheaper natural gas supplies flowing from new production in the Cook Inlet. Alaska’s lawmakers have revived the project partly because of a law — passed last year — that requires the state to get half of its electricity from renewable and alternative energy sources by 2025. According to the U.S. Energy Information Administration (EIA), 20 percent of Alaska’s 6.7 million megawatt-hours generated in 2009 came from renewable sources, with 99 percent of those renewables classified as hydropower. The Susitna Dam will add an estimated 2.6 million megawatt-hours of generation and will serve half the current energy demand of the Railbelt, the most densely populated area of the state. At 15.1 cents per kilowatt-hour, the average cost of electricity in Alaska is among the highest in the nation. This is in stark contrast to 9.8 cents per kilowatt-hour, the nation’s average electricity cost, according to the EIA. The AEA’s preliminary evaluation pegs the cost of Susitna electricity to ratepayers at only six cents per kilowatt-hour, but that figure assumes the state will pay for half of the project’s $US 4.5 billion price tag. AEA’s spokesman said that money matters have not yet been settled. FERC is the Federal Energy Regulatory Commission, the agency that oversees hydropower development. The AEA will begin the permitting process this fall when it applies to FERC for a license. The permitting phase is expected to take six years, followed by five years of construction. As pointed out, salmon will not be negatively impacted. Although a few Grayling may, there are positive impacts for other species such as trout. This is a very environmentally friendly project. The dam will displace existing generation provided by coal, oil, and natural gas at much lower prices. In Fairbanks, powered primarily by diesel (naphtha) and coal, the current residential rate is about 22 cents per kilo-watt hour. The existing 138kV rail-belt intertie, from Anchorage to Fairbanks, can carry 70MW. But, it was designed and buit to operate at 345kV, or 6.25 times more power, about 440MW. For Susitna, it would be able to carry 440MW both north and another 440MW south, for a total 880MW. More than the 600MW peak power produce by the dam. So little additional line would need to be built.